Begin by opening a blank document on Word and typing your name, address, phone number as well as email. Also enlist your other details like your height, weight, hair color, etc. below this. After your personal information, start enlisting your work experiences by your personal preference but in categories. You can enlist all your experiences whether in films, television, theatre or even a commercial. 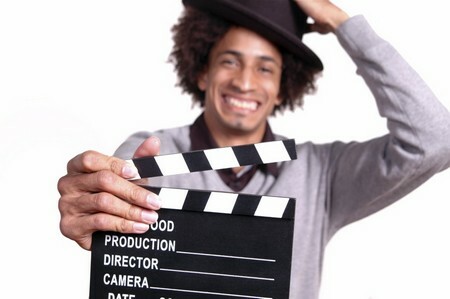 First enlist those categories that you have maximum acting experience in. if your audition is for a commercial, and you have good experience in the commercial field, first write about those. The next point to be mentioned is your qualification in the area, i.e., the numerous workshops, acting classes, courses, etc. that you have attended. After this, enlist the honors and awards you have received for your acting roles in the education details column. Also enlist your particular skills like dialects, accents, archery, dancing, etc. These special talents will draw special attention. After jotting down all these details in a Word document, take out some print outs that you must keep handy for any auditions that may be coming your way. In case your resume has more than one page, then staple it in the upper left corner only once to give it a very neat and tidy look. Make sure your contact information is up to date and your email is correct. Enlist only those projects that are the best. Write down only about your real experiences. Do not brag or lie. Make use of the standard 8 & ½ * 11 format sized paper for the resume.